Guyz do you like to have spy watch on your wrist and have all the updates and notifications of your Android smartphone over there. Isnt that amazing to get all the messages read without touching your android smartphone. Get to know of the person calling you without looking at your phone. I am sure now you all are damn excited to know more about this spy watch and of course will try to get it. Good News Guys, such Spy watch is being produced by the Sony Ericsson Company on a huge scale for all the people out over there. It has been long time since its launch but I am sure, you will like this product a lot. The Product details are here, It is the Android Smart watch of Sony Ericsson Model Number MN800. What Is This Android Smart Watch? This is a smart watch which is build on the Smart Android Platform. 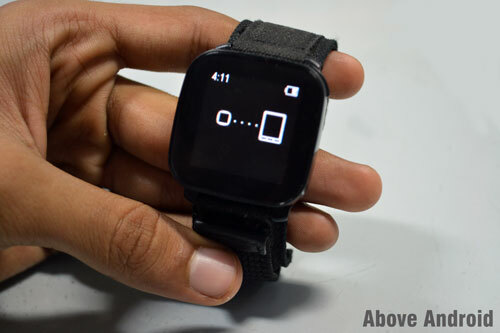 User can connect this watch with their Android Smartphone phone via Bluetooth. Once this watch is connected via Bluetooth user can perform various activity described below. This watch works on battery and you also need to charge it with normal micro-usb cable which we use for our major Android phone. It is very economic product with advanced technology and really basic of next generation mobile computing.Charge it plug it into your wrist band and you are on move with it. Calls, Messages, Emails, Calender this all the basic functions of this super cool Next Gen Smart watch. The watch is 0.53 ounces in weight, 0.4 inches in depth and 1.7 inches in diagonal width, this aesthetically simple device resembles a black mini stopwatch with two buttons at the top which are, power and LED on the left, and select on the right . There’s not much at the bottom except for a micro-USB port covered by a soft flap. It is really light is weight and easy to use with two simple buttons. User also gets a wrist band for fixing watch on it. There are four touch panels to move up, down, right and left on the watch. This watch works on Android OS and need and Android 2.X + version of Smartphone to sync with it. Once it is connected, user can perform various inbuilt operations and install more 3rd party plugins into your phone to use them into your watch. Just browse plugins in the Google Play Store, install them and they will be reflected into the smart watch There are inbuilt social network plugins like Facebook, Twitter and we can also read RSS feeds from here itself. This watch can work in two mode i.e. sync mode or simple watch mode. In sync mode we gets all the notifications and all other updates in the watch this consume lots of battery as compared to simple watch mode. After connecting to phone if we turn the Bluetooth connection it goes into simple watch mode. In this mode we can only see the time, date and the battery icon. On average the battery works for 4 days and it take only 1 hour to charge it fully. This is really a simple smart watch which prove justification for its weight , battery and the economic cost. You can purchase this Android Smart Watch from various online store but the cost varies everywhere. We recommend all above android readers to buy this watch from Rediff Shopping which cost you about 40 $ that is only 2000 Rs . Even I have bought it from this portal itself with nice costumer support.